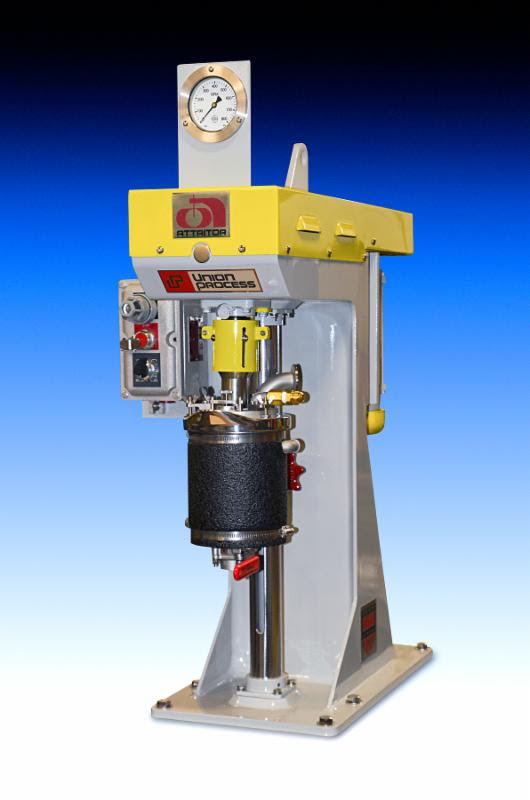 Union Process, known globally as a manufacturer of particle size reduction and dispersing equipment, as well as a supplier of grinding media and laboratory services for a broad range of research and industrial applications, has developed a special discharge valve for use with its cryogenic grinding HD-01 Laboratory Attritor. advantages to this new grinding tank and discharge valve design. First, there is no longer a need to remove the entire tank to separate the product and grinding media with a screen. The new discharge valve allows for easy sampling or removal of final material when grinding is complete. Secondly, cleaning is made much easier thanks to the discharge valve. Finally, there is an interchangeable bar grid system that allows for the use of different types and sizes of grinding media." The same convenience of the discharge valve design offered on Union Process' popular S1 Lab Attritors is now available on the smaller model HD-01 Attritor. The HD-01 Attritor is available with a wide array of options and accessories to meet whatever your particle size reduction needs are. Union Process Laboratory Attritors provide fast and efficient grinding, scale-up capability, easy operation and low maintenance. Since 1946, Union Process has been developing and building custom Attritors for customers with a wide variety of applications all around the world.